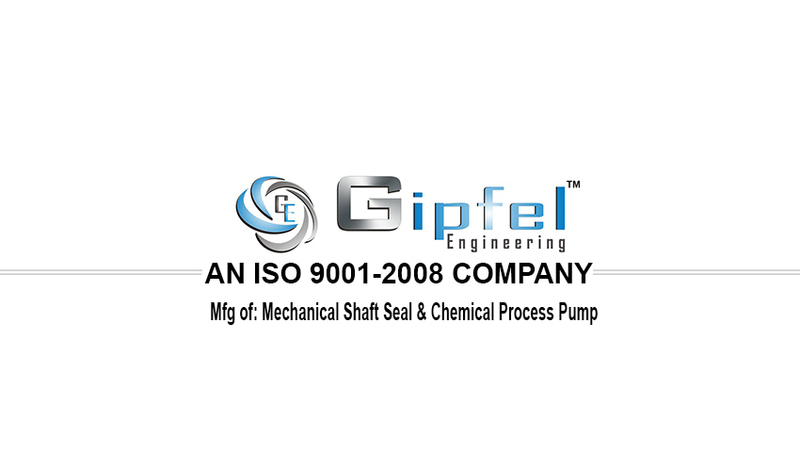 Prominent & Leading Manufacturer from Mumbai, we offer slurry single mechanical seal (for light duty slurry), slurry single mechanical seal (for medium duty slurry) and slurry double mechanical seal (for heavy duty slurry). Slurry single mechanical seal are widely known high performance seal. 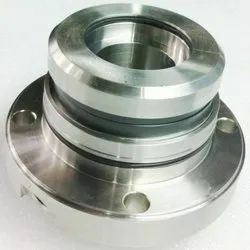 This slurry single mechanical seals offered by us preassembled and are usually mounted with gland plate on a sleeve which enables it to fit directly over the pump shaft or shaft sleeve in conventional stuffing boxes of any make / type of pump and equipment. For maximum benefit, a seal must be set according to its correct working length, and must be fitted to its right position in the housing with clean face. This type slurry cartridge mechanical seal manufactured by us provides a complete and easy solution to all requirements and easy to install with time saving, even non skilled person can install the seal. Beverages, Food Industries, Pulp & Paper Industries, Petrochemical Industries, Pharmaceutical Industries, Oil Industries, Mining Industries, Dyeing Industries, Fertilizers Industries, Chemicals Industries, Solvents Plants, Steel Making Plants, Hot & Cold Water Process, Water And Waste Water Pumps, Vacuum Distillation, Crystallization, Hazardous Liquid, Mixer, Biochemistry, & Other Rotary Equipment Etc. Slurry Single Mechanical Seal Are Widely Known High Performance and High Pressure Seal. This Slurry Cartridge Mechanical Seals Offered By Us Preassembled And Are Usually Mounted With Gland Plate On A Sleeve Which Enables It To Fit Directly Over The Pump Shaft Or Shaft Sleeve In Conventional Stuffing Boxes Of Any Make / Type Of Pump And Equipment. For Maximum Benefit, A Seal Must Be Set According To Its Correct Working Length, And Must Be Fitted To Its Right Position In The Housing With Clean Face. Slurry Cartridge Mechanical Seal Manufactured By Us Provides A Complete And Easy Solution To All Requirements And Easy To Install With Time Saving, Even Non Skilled Person Can Install The Seal. Slurry double mechanical seal are widely known high performance and high pressure seal. 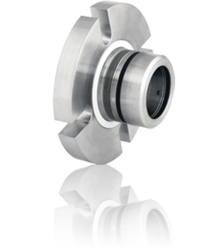 This slurry double mechanical seals in cartridge design offered by us preassembled and are usually mounted with gland plate on a sleeve which enables it to fit directly over the pump shaft or shaft sleeve in conventional stuffing boxes of any make / type of pump and equipment. For maximum benefit, a seal must be set according to its correct working length, and must be fitted to its right position in the housing with clean face. Slurry cartridge mechanical seal manufactured by us provides a complete and easy solution to all requirements and easy to install with time saving, even non skilled person can install the seal. Beverages, Food Industries, Pulp & Paper Industries, Petrochemical Industries, Pharmaceutical Industries, Oil Industries, Dyeing Industries, Fertilizers Industries, Chemicals Industries, Solvents Plants, Steel Making Plants, Hot & Cold Water Process, Water And Waste Water Pumps, Vacuum Distillation, Crystallization, Hazardous Liquid, Mixer, Biochemistry, & Other Rotary Equipment Etc.